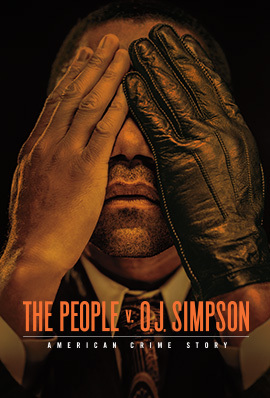 Pulpy, fun, and oddly timely, The People v OJ Simpson is one of the most dynamic shows out there in an over-saturated market. Ryan Murphy put his name on this as executive producer and he was quickly able to attract John Travolta as defense attorney Bob Shapiro, David Schwimmer as OJ’s friend Robert Kardashian, and Oscar winner Cuba Gooding Jr. as OJ himself. The rest of the cast is full of TV stars – Connie Britton, Nathan Lane, and Murphy stalwart Sarah Paulson all give strong performances. But as the series starts to get deep into the now-infamous trial, Courtney B. Vance is coming to the forefront in a star-making performance. Vance plays Johnnie Cochran, OJ’s deep-voiced, brilliant attorney that begins to craft the narrative that would eventually get him acquitted (spoiler alert, I guess). The criticism of the show isn’t necessarily unwarranted. It is over-the-top, no better exemplified than the scene where the Kardashian children watch TV and chant their own last name. But the show is exciting, it’s fairly accurate, and it sprinkles in thematically connected flashbacks brilliantly. In other words, it’s TV drama at it’s most fun. The fact that we already know the ending actually lends some dramatic irony to every scene with the overconfident prosecution. Things to watch: Vance is amazing and will surely be getting his own TV show soon. But, most importantly, just sit back and enjoy the incredibly entertaining ride. Ok, it’s not Breaking Bad. And it’s not even funny Breaking Bad – it’s actually pretty melancholy most of the time. But Bob Odenkirk is up to the task as small time lawyer Jimmy McGill, and his textured performance gives the series its big heart. We get to see Saul’s (or Jimmy’s) genius in brilliant scenes where he scams a Wall Street trader, explains to a few cops what a squat cobbler is, and, most exceptionally, when he climbs a billboard with his own face on it. The show is smart, fun, and well-acted. Breaking Bad wasn’t a critical juggernaut from day one, but Saul needs to move it along quickly if it wants to expand its fan base. Actually, it needs to move quickly in order to merely retain it. The second season premiered to 72% less eyes than the first season did. Jimmy’s slow transition to Saul Goodman doesn’t feature too many assault weapons or drug trafficking, but it’s a well-acted, highly nuanced look at a man before he breaks bad. Things to watch: A third of the way through the second season, the show is finding its legs. You came to the show for Saul and Mike, but you stayed for…ok, you pretty much stayed for them. Bingeworthy? Yes, worth watching for Odenkirk’s performance and the sharp writing. The second season has slowed down a touch, but it still is one of the most captivating hours of television. Viola Davis continues to scorch the metaphorical earth as Annalise Keating, and twists and turns down all the fun rabbit holes the mind of showrunner Peter Nowalk has to offer. Without spoiling too much, this season has been a tough one for Annalise and her students, particularly Wes, who might just be psychotic. Oops, slight spoiler. Things to watch: Nowalk has said there is going to be another murder by the end of this season. They seem to have gotten away from the flash-forward device for now, which is probably for the best. Bingeworthy? Duh! I actually can’t imagine watching this entire show in just a few sittings, but it really is network TV at its best. Call me crazy, but I’m addicted to this critically panned show on Hulu Plus. 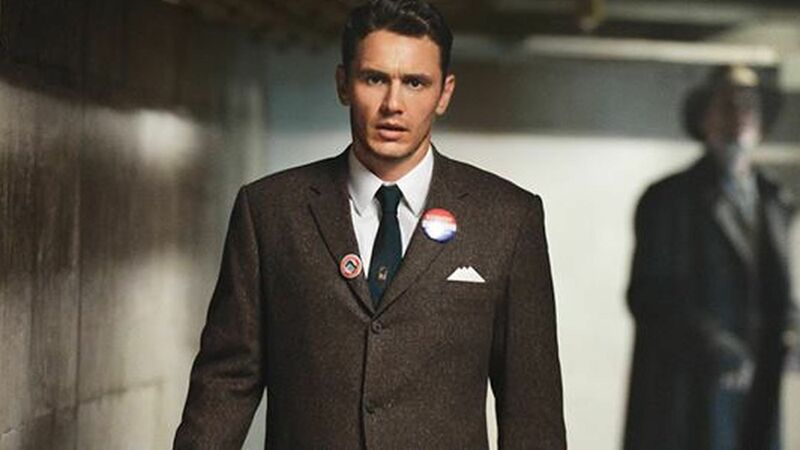 James Franco stars in this TV adaptation of the Stephen King novel about a guy going back in time to save JFK! If that doesn’t have you convinced, I don’t think there’s anything I can say. It’s a miniseries, so it’s not a huge commitment or anything, and it’s an interesting look at time travel. The past fights back in meddlesome and occasionally creepy ways. Franco’s Jake Epping goes back to 1960 and he has to live three years in the past before he can stop the assassination. Thing to watch: Every episode is a little bit different, but the eeriness of the show keeps it interesting. It does a great job capturing the feel of the 1960s (I think). One of the must underrated comedies on television today, Will Forte’s strange, awkward, brainchild follows up a strong season 1 with a good sophomore season. It doesn’t quite have the brilliance of the shows’ beginning, but the dry wit and celebrity cameos make it more than worth watching. Things to watch: They seem to have made Phil a little less despicable in season two, and his relationship with Carol is almost sweet. Also, (spoiler alert) Jason Sudeikis. Bingeworthy? Yes, there are only 23 episodes to watch in order to catch up. Take a day off work and spend 11.5 hours to catch up!